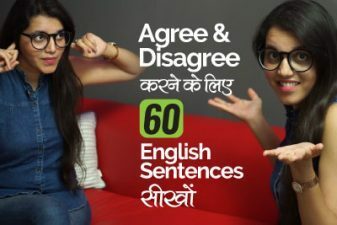 In this daily English speaking practice lesson you will learn how to speak English confidently and fluently at the hospital. Your English teacher Rima teaches you some useful English phrases for fixing an appointment at the Doctor’s clinic, how to tell the doctor you are not keeping well, asking for medical prescription and much more. Practice the spoken English sentences given below to improve your English speaking skills. इस डेली इंग्लिसग स्पीकिंग प्रैक्टिस लेसन में आप सीखेंगे कुछ इंग्लिश सेन्टेन्सेस जो आप use कर सकते हैं जब आप हॉस्पिटल मैं हो. डॉक्टर से कैसे अपॉइंटमेंट लेनी हैं. आप क्या महसूस कर रहें हैं, दवाई का प्रिस्क्रिप्शन कैसे मग्न हैं, यह सारी बातें आप सीखेंगे इस इंग्लिश लेसन में. नीचे दिए गए सेन्टेन्सेस को ध्यान से पढ़िए और प्रैक्टिस कीजिये. I need to make an appointment with the Doctor. Can the Doctor squeeze us in today? I need to make an appointment with the Doctor for my sister. I need to make an appointment for my brother. I want to bring my child for a checkup. The Doctor wants to see me again in two weeks’ time. What is your patient ID number? My patient ID is 01. What is this appointment with the Doctor regarding? I want to come in for a regular checkup. Which day and time is good for you for the appointment? Is the 3rd of the month okay for you? How does 4 o’clock sound? 4 o’clock is good with me. I’m sorry, the Doctor is not taking new patients. We’ll call you if there are any cancellations, we will let you know. I have high fever for the past two days. I am suffering from cold and cough. I have a bad stomachache. I have a bad backache. I have sprained my leg. I have sprained my ankle. I have sprained my shoulder. There is a swelling in my hand. I am feeling extremely tired. I am suffering from a lot of fatigue. I am feeling very weak. I have a lot of weakness. I am feeling very fragile. I am giving you medicines for three days. Are you allergic to any medicines? You have to take your medicines, morning, afternoon, evening after meals. When do I have to come next, Doctor? If you don’t feel better after the medicine is over, please come back for blood test. 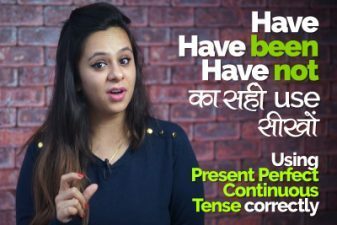 Previous Previous post: सीखो Polite English Sentences. 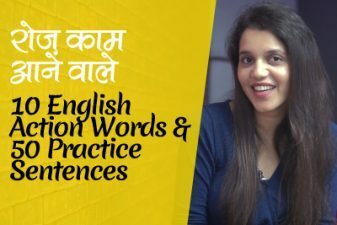 10 Actions Words & 50 Practice Sentences for English Beginners.